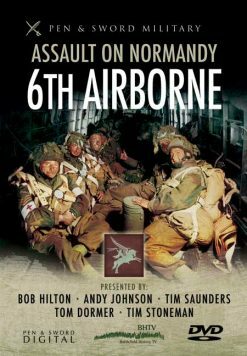 This true account tells the amazing true story of a member of the Glider Pilot Regiment and his escape from an enemy POW hospital after being captured after the Battle of Arnhem. 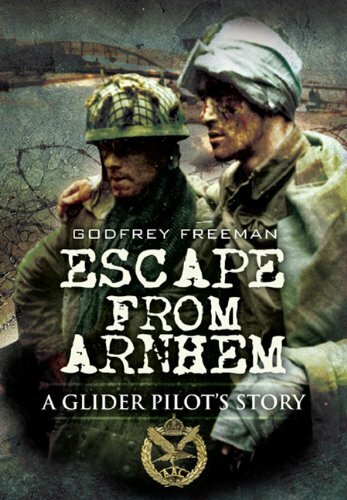 This is the remarkable true story of a young army glider pilot’s experience of the last days in the defence of Arnhem Bridge, his eventual capture and then escape to be adopted by the Resistance, the hair-raising journey through occupied Europe and his eventual return to the UK.After capture Freeman was first taken to Apeldoorn where he was hospitalized, claiming shell-shock. Although quite sane, he feigned trauma with escape in mind, until being punished for aiding the escape of four Allied inmates. Then he was put on a train bound for Germany, from this he escaped and eventual made contact with the Dutch underground. He is given civilian cloths and a bicycle and rides overnight to Barnveld where he stays with a schoolmaster and church organist. 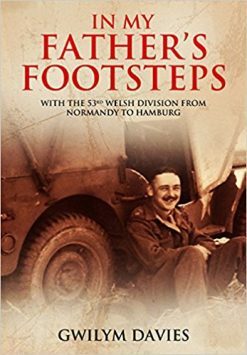 Then another cycle ride to a farm where he sleeps in the hayloft and finally still on his bike, he rides through the German front lines. He eventually is returned to RAF Broadwell by Dakota to resume his part in the war, from capture to freedom within a month.